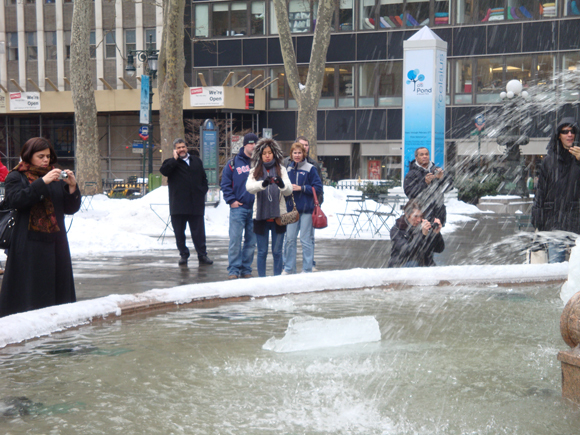 ABC News picked up on the fact that our frozen fountain is the coolest in town! Read this post from last week to find out how it's possible for our fountain to run in the winter and check out all the attention it was getting from passersby yesterday. The frosty fountain looks more attractive as it is an unusual look. 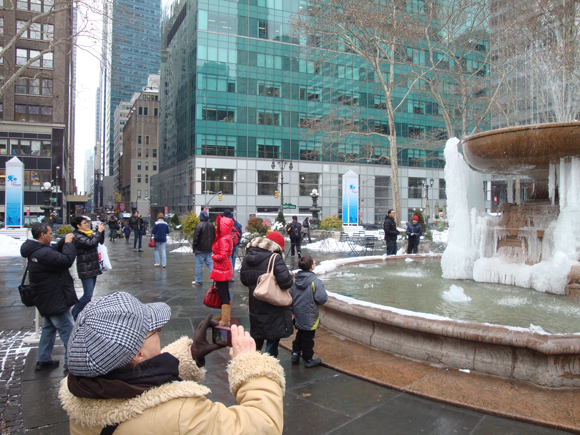 The half frozen and half flowing fountain picture is nice to see.